Casino operator Genting Singapore Plc “is not keen” to participate in a bid for a Japan gaming licence if locals are not allowed to use such casino gambling facilities. But if Japan did permit locals, the preferred location for the firm – which currently operates the Resorts World Sentosa property in Singapore – would be either Osaka or Yokohama, said a Wednesday note from Japanese brokerage Nomura. The institution cited conversations with Genting Singapore’s management during the Nomura Investment Forum Asia 2017 held in Singapore from June 6 to June 9. “Genting Singapore will participate actively in the bidding process and is in talks with potential consortium partners in Japan. However, the company is not keen to participate if locals are not allowed in the casino,” said the note from analysts Tushar Mohata and Alpa Aggarwal. The issue of who might or might not be allowed to visit Japanese casinos has yet to be resolved by the country’s government and lawmakers. At least one local government in Japan has proposed development of a foreigner-only casino as a way of allaying public concern on issues such as the risk of gambling addiction among locals. Masahiro Obana, mayor of Wakayama city in the southeastern portion of the main island Honshu, made the observation during the Japan Gaming Congress in Tokyo, held in early May. A Japanese official recently told GGRAsia it was likely to be August at the earliest before a steering body made up of Japanese cabinet ministers makes public the outline of the Integrated Resorts (IR) Implementation Bill, designed to advance the introduction in that country of the casino sector. The draft statute is expected to detail specifics of the casino industry in Japan, including how casinos are administered and regulated, as well as the taxation regime to be applied to them. According to a number of media reports, a separate bill to regulate the issue of gambling addiction would also need to be passed before the IR Implementation Bill can be enacted. Nomura’s Wednesday note – citing conversations with Genting Singapore executives – indicated land purchase costs could account for a fifth or more of total capital expenditure on any Japanese casino project. “The IR development in Japan could cost approximately US$10 billion to US$12 billion, of which a few billion [dollars] will be for land purchase,” said the analysts. “In terms of location of the IR, Genting Singapore’s priority is Osaka and Yokohama, and not Tokyo. However, the licences for which they will bid depend on the order of the opening of the bids. It is likely that the company may bid for the first location even if it is not Osaka or Yokohama,” added the Nomura team. Genting Singapore had announced in November 2016 it was disposing of its rights to participate in a project in South Korea in order to focus on other projects, including a potential investment in Japan. 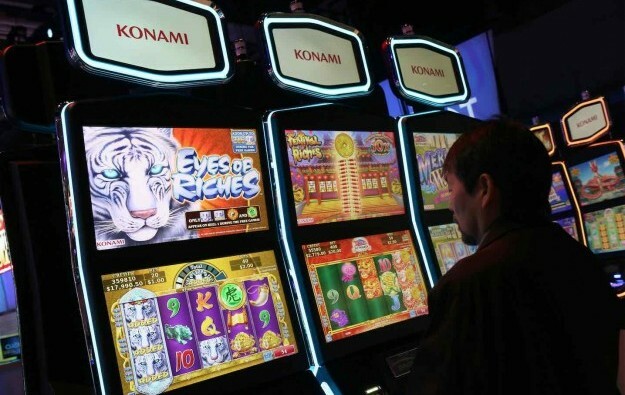 In other matters mentioned in Wednesday’s note, Nomura said Genting Singapore had also explained ways it was seeking to expand revenue at its existing Singapore casino business, increase margins through cost management and improve shareholder return through “capital structure optimisation”. Measures included focusing on the so-called “premium mass” segment of gambling customers that bet at high minimums, but in cash rather than via the credit issued to VIPs using rolling chip programmes. Resorts World Sentosa’s operating performance had previously been affected by high levels of bad debt in the VIP segment. The company says it has since improved its position regarding bad debt. It reported impairment on trade receivables of approximately SGD15.0 million (US$10.9 million) in the first quarter of 2017, compared to SGD92.4 million a year earlier. “Instead of the VIP business, management is trying to grow its premium mass segment, for which the average house win per session ranges between SGD20,000 and SGD100,000,” said the Nomura team. The brokerage noted that during a previous briefing on its first-quarter results, the casino operator had indicated it would be applying to the Singapore authorities for permission to revamp the Resorts World Sentosa venue, which opened in early 2010. “Capital expenditure for the revamp is likely to be significant, but it would also need regulatory approvals. It might potentially include a hotel room capacity increase, but details of this would only be known in the second half of 2017,” stated Nomura.